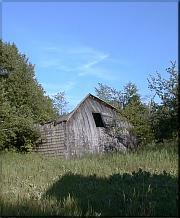 This simple, small house on Sloptown Road, west of Donnel Mor's Lane, is the place to which Feodor Protar retreated in 1893 and spent the rest of his life. 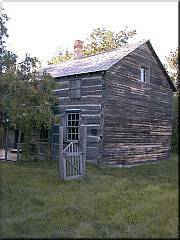 He lived here until his death in 1925, doing his best to help his friends and neighbors as much as he could and following the precepts of Tolstoi. 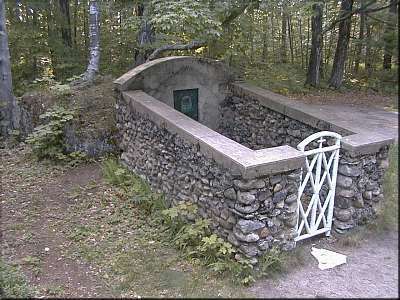 The Tomb his friends built after his death in testament to their "Heaven-sent Friend" is west and north, past the engineer's grave at the end of the drivable portion of the Kuebler Trail. 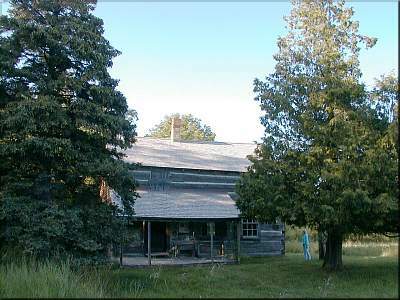 The Beaver Island Historical Society maintains this home, under the guidance of Antje Price, the translator of Protar's diaries. It is open at selected times, and by arrangement made through the Print Shop Museum. Antje comes from Pittsburgh each year to spend the middle of the summer on Beaver Island, continuing her research and meditation. Despite her years of effort, she feels she has not yet come to terms with the saintly recluse she so ardently admires.